PM puts deal to deport less than half of illegal infiltrators in Israel on hold until meeting with representatives of southern Tel Aviv. 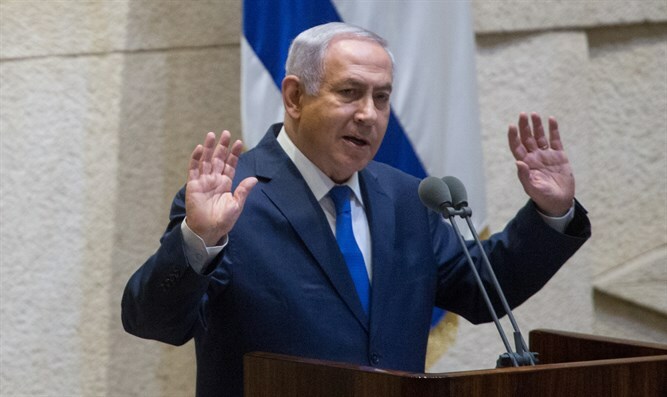 Prime Minister Binyamin Netanyahu directly addressed the residents of southern Tel Aviv who were sorely disappointed by his deal with the UN to deport 16,250 illegal infiltrators while allowing the rest to remain in Israel. In a post published on his Facebook page, the Prime Minister temporarily suspended the implementation of the agreement until he could meet with representatives of the citizens who would be affected by the deal. "Dear friends, I am attentive to you as always. "Over the past two years I have been working with Rwanda so that it will serve as a "third country" that would absorb the infiltrators who will be deported without their consent. This is the only legal way for us to remove infiltrators without their consent, after the rest of our moves have been legally disqualified [by the Israeli Supreme Court]. Rwanda agreed to this and began the deportation operation. "In recent weeks, as a result of the tremendous pressure placed on Rwanda by the New Israel Fund and elements in the European Union, Rwanda has withdrawn from the agreement and has refused to absorb infiltrators from Israel who were forcibly deported. "Given this situation, I decided to strive for a new agreement that would still allow the continued removal of the infiltrators. "However, I am attentive to you first and foremost, to the residents of South Tel Aviv. So I decided to meet with Interior Minister Aryeh Deri and with representatives of the residents tomorrow morning. "In the meantime, I am suspending the implementation of the agreement, and after I meet with the representatives, I will bring the agreement up for renewed examination." Education Minister Naftali Bennett, who previously slammed the deal, welcomed the suspension of the agreement, but said that the prime minister did not go far enough.